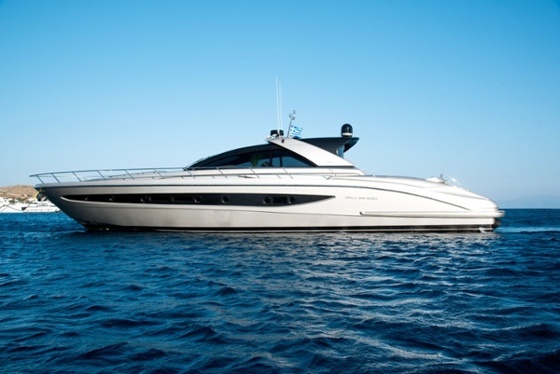 The absolute 20-metre vessel, the Riva EGO is the ideal boat to combine daily getaways and longer-term cruises to mid-distance destinations. Captain Petros, highly experienced in charter yachts, and steward Renato are ready to welcome you on-board! They promise an unforgettable experience! Captain Petros is an RYA Yachtmaster offshore, power and sail, and an advanced Powerboat Instructor of RYA and has 10 years of experience, as a captain, in the yachting industry, ranging from small Sailing Yachts, to 30+ meters Motor Yachts and traveling all around the Greek Islands. During his yachting years he has participated in several powerboat races, as a pilot in Cigarette and Fountain powerboats, as well as RIB powerboats. 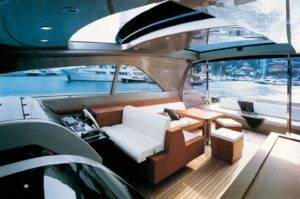 At the same time he is working as a Technical Support Engineer, contributing to many yacht construction and repair projects, in several yachting companies. He has studied Applied Mathematics and Physics in National and Technical University of Athens and has attended Marine and General Engineering courses in a private college. As a captain, he works closely with his guests to satisfy all of their needs and requirements and to provide high quality and enjoyable onboard experience, while at the same time, giving great attention to safety. His love for all kind of extreme sports, provides Petros, with the passion to organize all kinds of activities for his guests. A professional and discreet individual, Renato arrived in Greece in 2005 and started his career on charter and private boats in 2006, as a deckhand. He has been on-board W since 2017 and was soon trained to perfect his serving and hospitality skills. 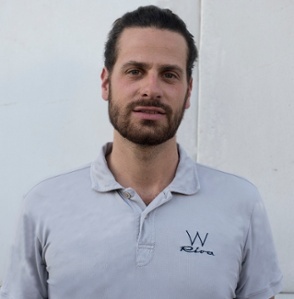 He has been taking care of guests and the boat with great skill and attention to detail since then, making a very efficient team with captain Petros.